When running a catering business the backbone of the company is its staff. You need to have reliable staff whether they are temporary staff or agency staff. It may be that you do not need permanent full time staff for your catering business. If you cater for weddings and other functions it is more than likely your staff will work on a temporary basis, as and when you need them. It is imperative that the staff you hire are reliable and will turn up at the event. To be suddenly short of waitress and other important staff at a big event will not look good for your company and could affect future bookings if word got out that your service was slow and short staffed. Always hire one extra staff member that can cover jobs both as a waitress, waiter or even behind the behind the scenes in the kitchen. You need to cost for this provision within your budget when pricing the job. It may be that when first starting out with your catering business it will be your friends and family that step in to help with waitress and other staff duties. Not only will they give you confidence as those first bookings can be very daunting, they may also be prepared to work for a lesser payment than you would normally pay to waitress staff. Gradually as the business grows you can develop a list of reliable staff that can supplement the help from your family and friends. Wherever you find your staff ensure that they are suitably dressed. Every waitress needs to dress alike – a hard task if they are agency staff or from other sources. A way round this is to stipulate that they wear a certain colour, for example a black skirt and white top. You can supply an apron and cap thus ensuring the waitress staff wears a suitable uniform that presents your company as a professional working unit. There are agencies that supply staff for catering events. When booking staff give precise details of your requirements such as what the staff are expected to do, what they have to wear and times they are booked to work. Staff should be given exact details of the venue with a map and a telephone number in case there are travel problems. 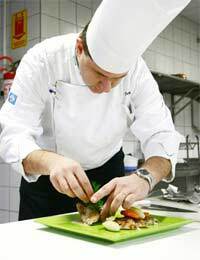 Any staff hired for your catering functions should hold health and hygiene certificates if they are working with food. Check this is the case when using agency staff. It is down to you as the owner of the catering business to ensure that all staff are briefed before the event starts. Waitress staff should know what their duties are, which tables they are covering and what food is to be served. When catering for a wedding make sure your most skilled waitress serves the top table as this is not only where the main guests are placed but also where the person who paid for the event will be seated. Kitchen staff should be given details of the food to be prepared along with a time plan order of service.